I’m no fan of Mark Zuckerberg, but he and I agree on one thing: hoodies can be the cornerstone of a decent wardrobe. Still, I’m used to thinking of a hoodie as a sweater replacement (see: Naadam’s elevated silk/cashmere layer), a warm and comforting throwback (Champion, American Giant) or a post-workout cover-up (Fourlaps is the personal fave here). But DSTLD’s new Travel Hoodie is a different beast. 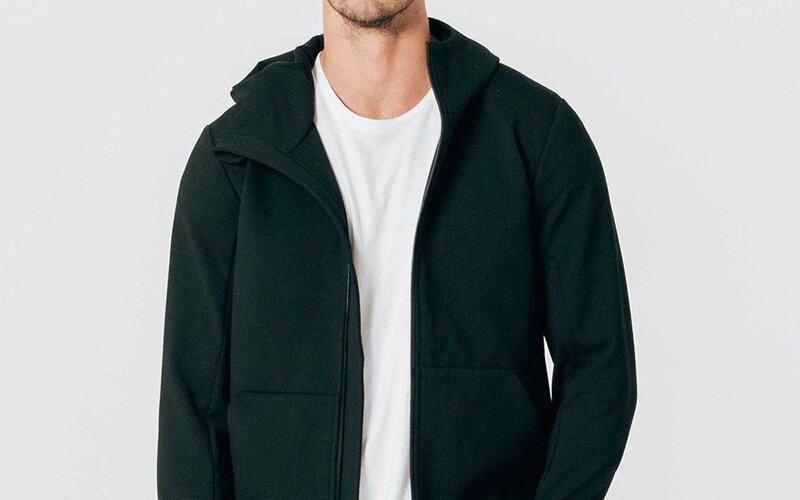 New this year from the Los Angeles-based, direct-to-consumer basics brand, the Travel Hoodie isn’t a gentle layer: it’s stretchy with a slim fit, meaning it conforms to your body and feels more like armored protection than a glorified pillow. Good news is that, even with a little extra personal bulk, the hoodie never accentuated my weight. Plus, with the hood up, I looked like a brooding comic-book antihero. Nothing soft there. But beyond the more athletic fit, it’s the little details that set it apart: a headphone cord pocket, interior carry straps, built-in fingerless gloves and an array (10, actually) of deep pockets that, thanks to the four-way stretch, hold a lot of gear but keep your devices tucked in without worry. 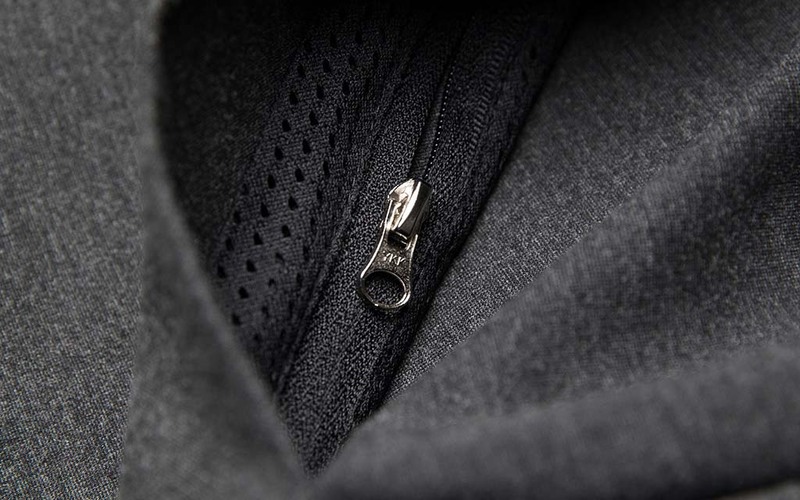 This is important: my phone’s fallen out of several, lesser hoodie pockets during my morning sprint to the subway, and I’m not worried about that here (hint: store your phone in one of the the hidden zip-up pockets located within the side hand pockets). When to wear it: On its own when the temps hit that mid-fall, 50- to 65-degree range and you’re not sure if it’s gonna rain, snow or get a bit breezy. The microfleece-lined hood meant I never worried about a hat. 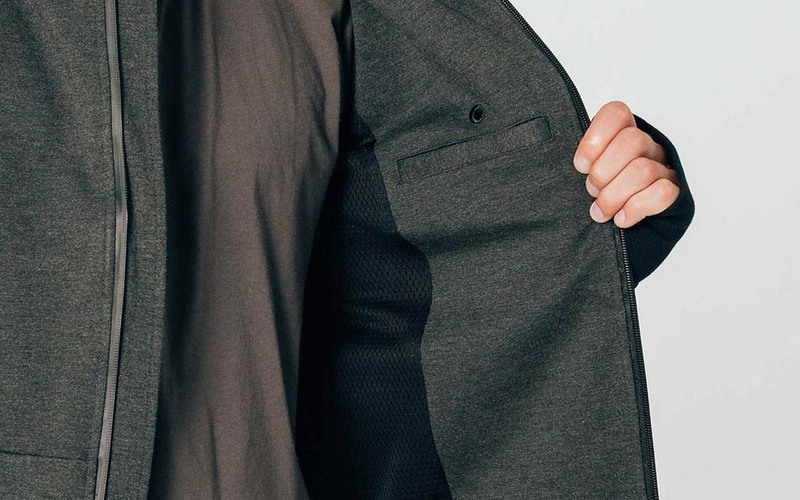 As a layer, the slim fit means you can tuck it under pretty much anything without adding too much wardrobe bulk. With something puffy, it may just disappear. 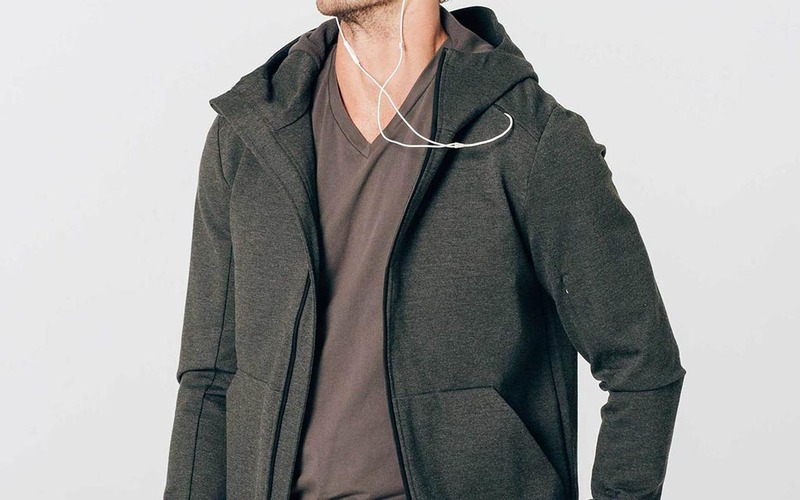 When not to wear it: The Travel Hoodie will roast you during a morning commute, especially if you’re somewhere humid — like the always dank New York subway system. Oddly, I’m not sure if this is a great “travel” layer; it’s not really comfy enough for planes, and it might keep you too hot for strenuous bike commutes. But it held up well during a long walk on the water, when a certain significant other not so subtly asked for another layer to protect her from the wind … and her antihero boyfriend said no. It certain situations (read: chilly ones), it’s simply too vital to take off. The DSTLD Travel Hoodie is available now for $120 in either grey or black. If you want a non-hooded fall layering option, the company is currently offering 30% off their men’s leather and suede bombers.